When smart cameras were introduced about a decade ago, the machine vision industry declared them ideal for simple, straightforward applications such as presence/absence verification or reading bar codes. The idea was that a smart camera best-served applications that required just one operation. They were and still are perceived as stand-alone vision systems. But many machine vision systems are complex and require several operations. So, can multiple smart cameras be used for more complex applications? Or is a traditional PC-based frame grabber and multiple camera system the only solution? The typical machine vision answer is, of course, it depends on your application. In some situations, multiple smart camera systems can do very well when compared to a traditional PC-based, multi-camera vision system. 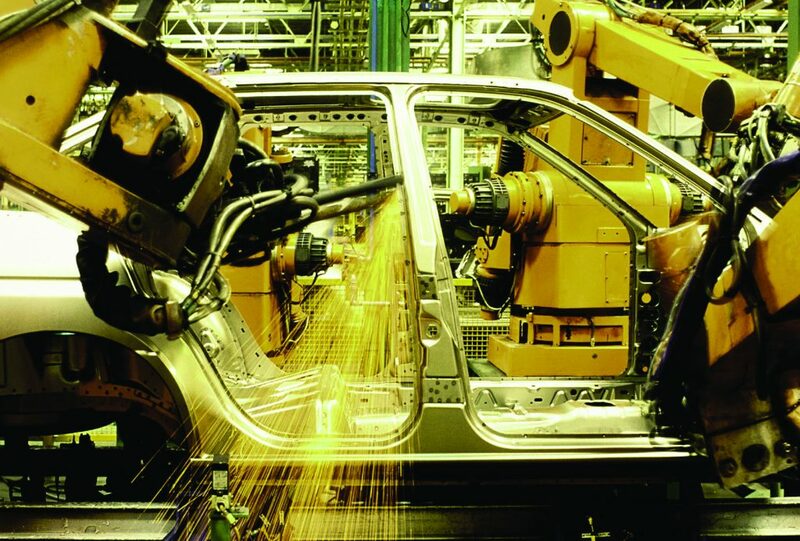 The automotive industry was one of the first to embrace machine vision in an effort to improve product quality and its production process. The focus was on vision-guided robots for the manufacturing process. Before smart cameras made their debut, PC-based systems with multiple cameras would have been used for inspection of the final product or verification of a sub-assembly. Today’s smart technology allows companies to include vision at every step of the manufacturing process. So an automotive customer might start with just one smart camera for a specific task, see the benefit and results, and find themselves adding more because the platform made it a practical and cost-effective solution. 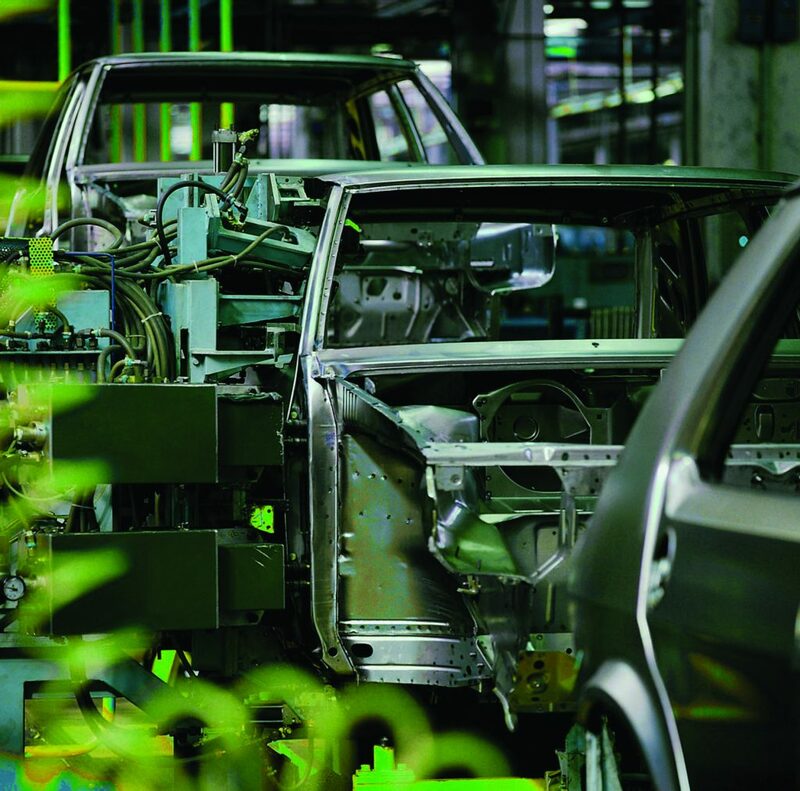 The automotive industry was one of the first to embrace machine vision. The assembly line for an engine block is a good example of how multiple smart cameras can be used together. In this case, multiple manufacturing cells are configured to assemble the product as it moves along a line. Starting from a tray of parts– valves, bolts, cast assemblies, gaskets, and the like –smart cameras in each cell direct robots to pick and place the parts on to the assembly– with each camera configured to pick one part. When the partial assembly is complete, additional cameras verify that the operation was performed correctly and the assembly moves to the next cell. So in the first part of the cell, the smart cameras are configured to perform part identification using high-level pattern matching or 2D Matrix reading functions, while the other cameras in the cell are programmed to perform post-assembly verification. A typical engine assembly line can have eight to ten cells and include from four to eight cameras per cell. That’s a system with as many as 80 cameras – which sounds very complex and very expensive! So why are smart cameras a good alternative for an application like this? Because each smart camera is its own entity, it is completely separate from the other cameras. If, after a system runs for a few months, a customer wants to add more vision or a new component for inspection, adding a new smart camera is simply a matter of configuring it for the required task and adding to the network. With a traditional PC-based frame grabber system, a systems integrator would have to change the source code to add an additional camera at the very least, or even add a new frame grabber. And more often than not, it’s much easier to program one smart camera for one part of an application than it is to take one large program – which takes the input from two or three cameras – and develop new code and ensure everything is synchronized so that the cameras all run at the same time. The automobile assembly plant needs a flexible system that can be easily reconfigured when specifications change. The modular nature of smart cameras also makes them ideal for complex applications. Adding them to an existing network is generally easier to do than writing new code. Plus, when new functionality needs to be added to the system, the camera can be programmed offline and connected so it can be tested live without disturbing ongoing inspections. Smart cameras make it easy for integrators to add new functionality to an existing system. BOA smart cameras (from Teledyne DALSA) can perform part identification and ensure part traceability throughout the product lifecycle. Developing a system with multiple smart cameras can also help to lower development costs. Because smart cameras are configured rather than programmed, vision applications can be developed very quickly – as little as half a day for a simple application. Sherlock or iNspect, Teledyne DALSA’s smart camera environments, use graphical interfaces where a user ‘builds’ an application instead of writing lines of code. Again for an application that requires multiple cameras, your engineers can save a lot of time by configuring half a dozen smart cameras instead of cranking out C++ code for the acquisition and processing of those six cameras. In general, the ease of programming means it’s fairly easy to develop an application; the sooner the application is ready, the sooner you can deploy it and the customer can enjoy the return on the investment. In the end, the processing and resolution requirements of a specific application will determine if multiple smart cameras are a good investment. Even when used in complex systems, smart cameras are great for verification, reading bar-codes, point-to-point measurements, pattern matching, counting blobs in an image, or presence/absence – in short, any process that can give a pass/fail result, or an expected measurement. As illustrated by the automobile assembly line application, it’s easy to see how a smart camera can be assigned a single task in the overall process. Remember though, that due to the nature of embedded components, smart cameras will never have the same performance as PC-based systems. A smart camera can perform at 60 or more frames/second, but that will slow down if combined with a low-level function such as bar code reading with high-level processing such as geometric pattern matching or OCR. Finally, if the application being used needs parallel or round robin processing, a traditional PC-based multi-camera system, with a frame grabber or vision processor, is the way to go. While a smart camera has a CPU it’s not a PC and is not meant to run complex, multi-threaded code behind those applications. A multiple smart camera “system” works very well for certain types of applications, and the following table can help gauge your application’s requirements. Choosing the smart camera route takes some forethought and good communication with your customer. Ask them how they envision the application and consider how it could evolve in the future. Will they want to inspect more features or incorporate more inspection stations on an assembly line? Will they want to keep a record of all the image data, or have the cameras communicate results? Their answers will help you find the best solution and keep them happy.